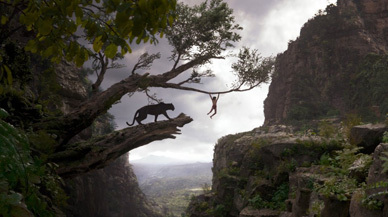 Kim Hollis: The Jungle Book exceeded expectations significantly as it earned a massive $103.3 million this weekend. How did Disney accomplish such an amazing result? Ben Gruchow: First and foremost, they had a good project on their hands. The movie is thoughtful and well-realized without letting anything get out of balance on the screenplay level. Then they brought in Jon Favreau to direct, which is as clear a sign of confidence as I can think of. You look at his resume as director, and you can pretty easily grasp how well-suited he is to guide the audience through a new world with clarity and consistency of tone. They took the visual effects obligation seriously, and the overall feeling that emerged was one kind of similar to the first Iron Man in 2008; here was an event picture that was almost certainly going to be worth prioritizing and going out and seeing. John Hamann: To achieve a result like this, so many things must fall in to place. Just to get to $70 million, Disney needed the full on Disney Marketing Machine, and it churned out another winner. Add to that trailers before both Star Wars: The Force Awakens and Zootopia and awareness was higher than realized. Mix in those fabulous reviews, A and A+ Cinemascores, and the opening is likely pushed to $90 million. Add to that the sweet spot Disney found in the release schedule (four weekends after BvS, and four before Marvel’s Civil War) and the vacuum created by The Boss and Batman cratering last weekend, and The Jungle Book was pushed beyond any expectations.